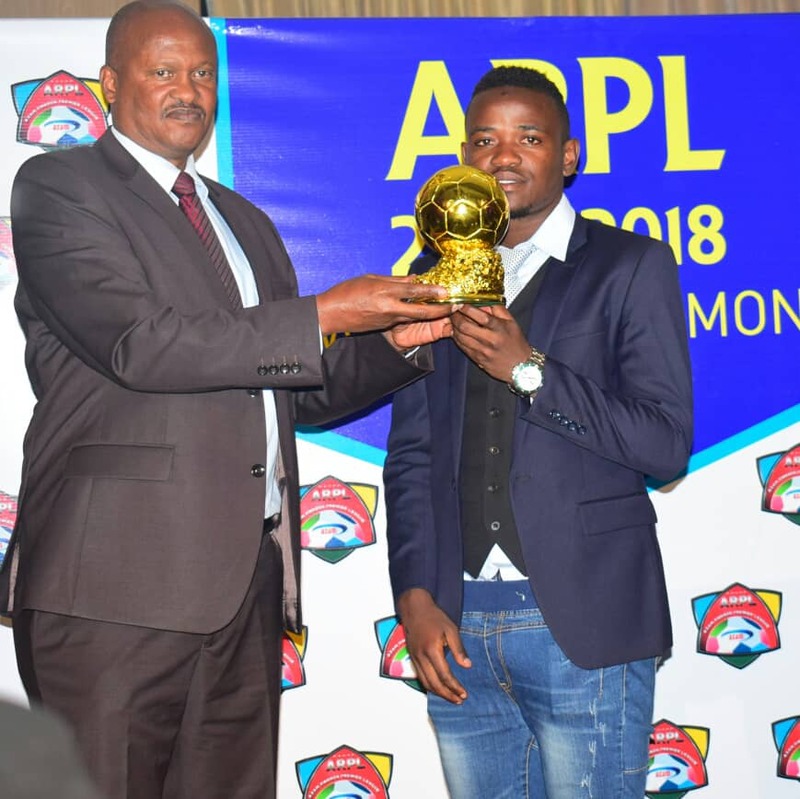 Amavubi and APR FC forward Muhadjiri Hakizimana has been named 2018 Azam Rwanda Premier League Footballer of the Year, beating off competition from former team mate and Waasland-Beveren, Belgium midfielder Djihad Bizimana and AS Kigali forward Jean Claude Ndarusanze. The Rwanda football governing body (Ferwafa) alongside Azam TV organised the annual Azam Rwanda Premier League Player of the Year awards in a ceremony held at Marriott Hotel in Kigali City and graced by FERWAFA President Sekamana Jean Damascene on Thursday night. 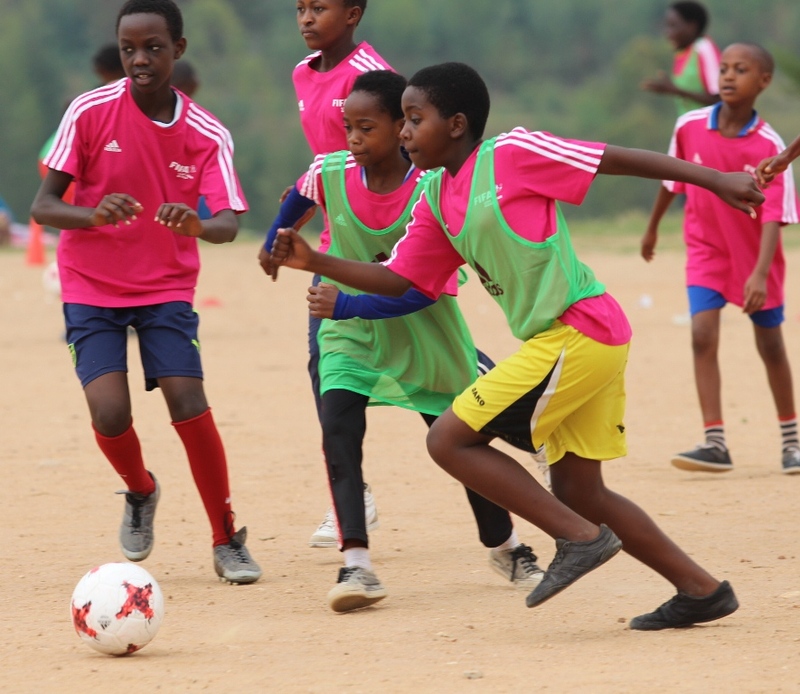 The winners were determined by a 48-member jury of 16 coaches from all topflight league teams and their captains, in addition to 16 journalists picked by the Rwanda Sports Journalists Association. Each winner from the shortlisted players – and coaches – in each category received the highest points. Hakizimana has succeeded two-time and former Rayon Sports Fc skipper Pierrot Kwizera after garnering 110 votes to come ahead of Bizimana (48) and Ndarusanze who managed 37 votes respectively. The victory earned Hakizimana footballer of the year accolade and Rwf. 1 million worth of prize money. The former Mukura VS and AS Kigali forward inspired APR Fc to their record-extending 17th league title, scoring 13 goals and was a key part of Ljubomir Petrovic’s side that reached the Peace Cup semi-finals before being seen off by eventual winners Mukura. AS Kigali’s Burundian import Jean Claude Ndarusanze was also awarded his golden boot following his excellent performances last season were he led the goal scoring chart with 15 goals, as he helped the City of Kigali-sponsored side to finish second with 61 points, five behind APR. Ndarusanze also pocketed Rwf. 750,000. APR FC and Amavubi goalie Kimenyi Yves emerged the golden glove winner following his aptitude in guiding the military side to the league title. He beat Omar Rwabugiri from Mukura VS and Batte Shamiru of AS Kigali, who is reported to be on a move to rivals SC Kiyovu. Kimenyi pocketed Rwf. 500, 000. Rayon Sport’s upcoming skillful forward Muhire Kevin beat APR Fc duo of Buregeya Prince and Byiringiro Lague to the Promising player award. The Rayon Sports forward has been key to the blues, where this year was instrumental in guiding them to the quarter final round of the CAF Confederation Cup were they were eliminated by Nigeria’s Enyimba FC. Muhire received also Rwf. 500,000 worth of cash prize. Burundian born coach Haringingo Christian Francis who helped Southern Province club Mukura VS to the 2018 Peace Cup emerged the revelation coach, beating current Musanze Fc coach Ruremesha Emmanuel and Police Fc coach Zambian Mphande Joel Albert. Haringingo also pocketed Rwf. 500,000 worth of prize money. The best coach of the year title was won by Coach Ruremesha Emmanuel, former Etincelles Fc coach who joined Musanze Fc last month. He beat APR FC Serbian coach Ljubomir Ljupko Petrovic and Burundian Mukura VS Coach Haringingo Christian Francis. Ruremesha who also won Rwf. 1 million, was key for Etincelles FC as he guided to a fourth-place finish in last season’s Azam Rwanda Premier League. The team of the year voted was comprised of Kimenyi Yves (APR FC), Omborenga Fitina (APR FC), Rutanga Eric (Rayon Sports FC), Manzi Thierry (Rayon Sports FC), Rwatubyaye Abdul (Rayon Sports FC), Kakule Mugheni Fabrice (Kiyovu SC), Bizimana Djihad (former APR FC), Muhire Kevin (Rayon Sports FC), Hakizimana Muhadjir (APR FC), Manishimwe Djabel (Rayon Sports FC) and Ndarusanze Jean Claude (AS Kigali). Each player on the team of the year received an award and cash prize worth Rwf. 100, 000. The prestigious annual awards ceremony was established in 2016 as a way of celebrating the top-performing footballers of the season as well as recognising the most exceptional youngsters. 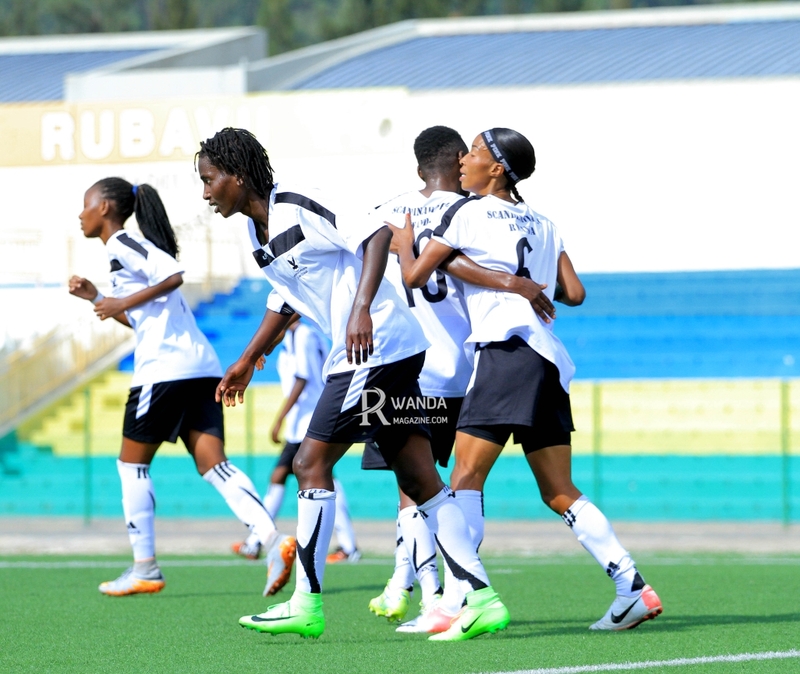 Meanwihile, APR FC will be crowned champions of the 2017/18 Azam Rwanda Premier League champions on Friday when they host Amagaju Fc on the opening fixture of the 2018/19 season which will be staged at Stade de Kigali from 16:00.